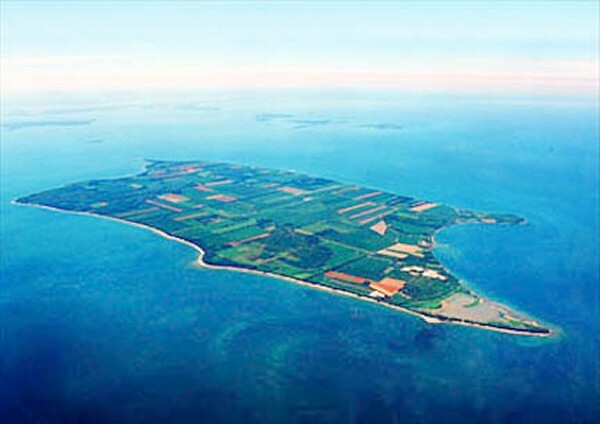 Pelee Island is situated in the Western Basin of Lake Erie, Canada's southernmost lake. Just above the Canadian-American border at a latitude of 41 degrees, Pelee Island is located 800km south of Vancouver, BC. The climate of the Lake Erie Islands Archipelago boasts the highest heat units in the country, and the longest frost-free season in Ontario. Pelee Island has one of the longest growing season the most frost free days and the most heat units. It was and is a unique microclimate for for growing quality grapes. It is one of canada's oldest grape growing regions. 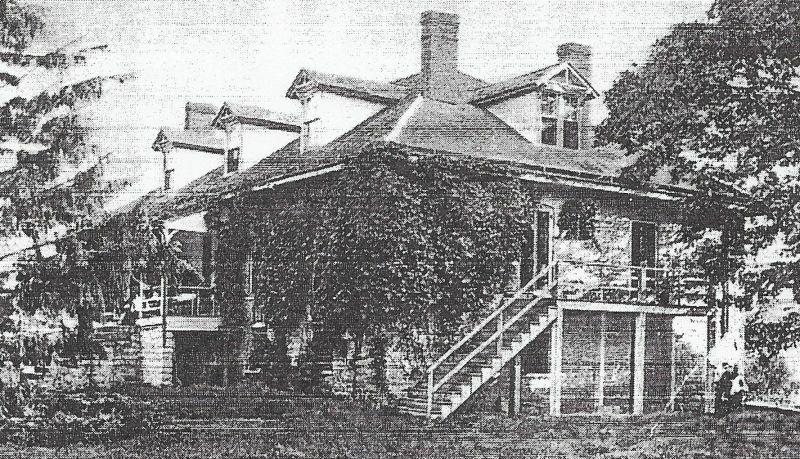 One of the very early wineries of Canada was built on the island in 1866. The Vin Villa Winery opened in 1871 became renowned for it's rare Catawba wines and the many awards it won from as far away as Europe. 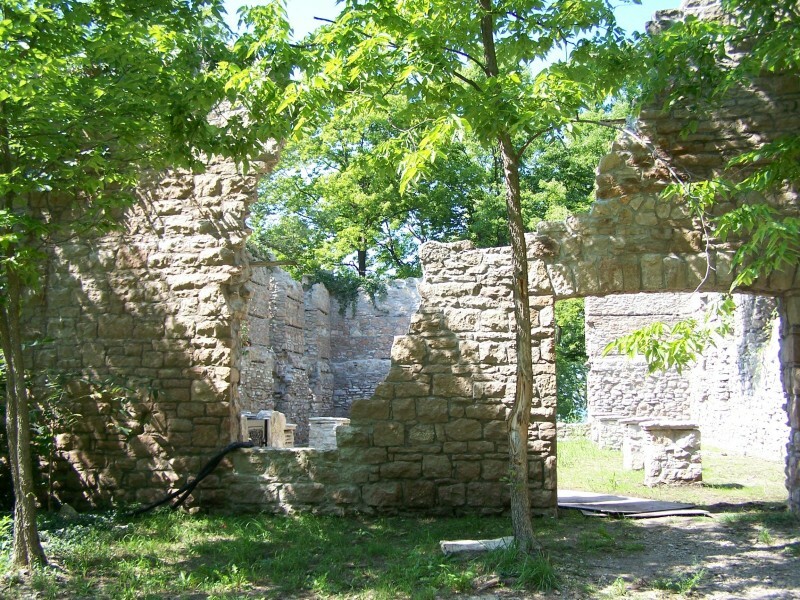 Six additional wineries were built making the island a centre of early wine making in Canada. Grape growing was very successful on Kellys Island and other Bass lslands to the south of Pelee Island. (2) A good boat service connected these islands with the American mainland and so they enjoyed an influx of tourists. Wine cellars, hotels and stores did a good business. 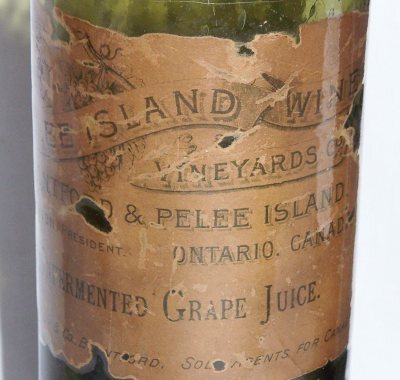 (1) It would seem that Captain David McCormick of Pelee Island had been watching the growing business of the American Islands and perhaps would have encouraged the development of the grape industry earlier but for a land problem. It would seem obvious that the reason for growing the grapes on Pelee Island was to make wine and so the Williams and Smith built a large wine cellar and installed a press. 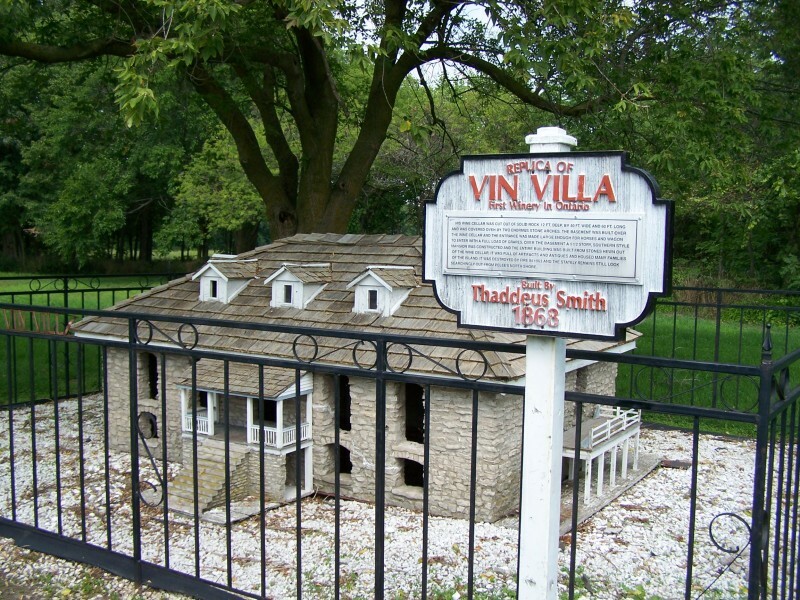 The place called "Vin Villa Vineyards", (1) The first crop of grapes was to be harvested in 1868. (3) The wines were to find markets in much of Canada as well as in the U.S.A.
Thomas Williams. Soon after, Pelee Island attracted another wine ventures. 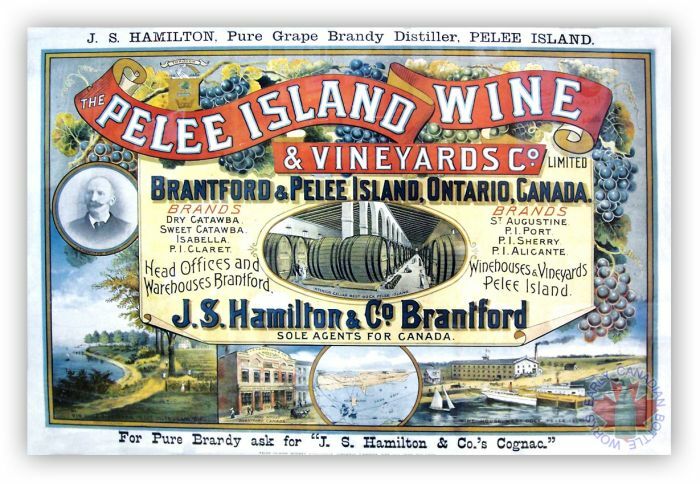 Two brothers from England Edward and John Wardoper founded a Pelee Island Winery. Records indicated it was called the Pelee I sland Winery ( not the same winery operating today). Another was called Finlay Winery. Finlay winery ( John Finlay) constructed a cellar in 1888. A house was constructed over the cellar. The cellar would hold at least 10,000 gallons. Fire damaged the cellar in 1893, it was rebuilt in 1894 and final improvements were made in 1895. Vin Villa found the production on wine on the Island to be very successful but marketing the wine was another story. Canada makes wines ! Ship it off the Island to the Mainland. They hired J. S. Smith to market their wine. 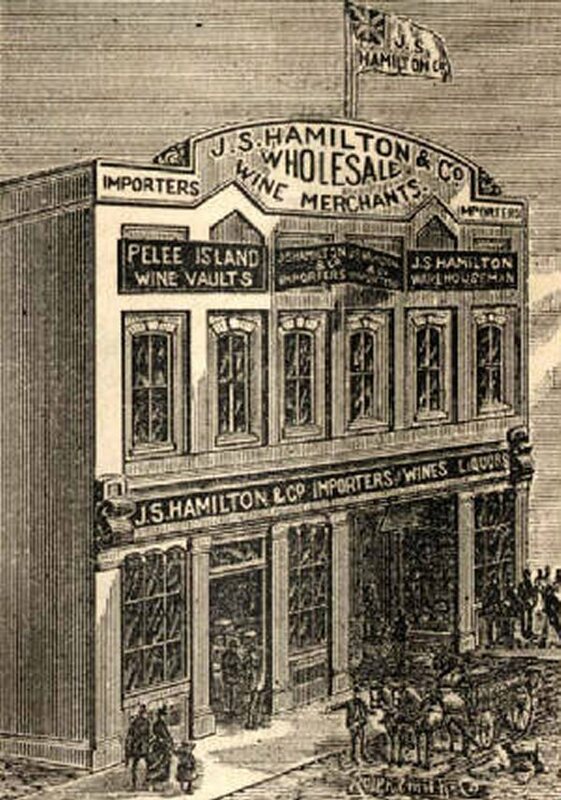 J.S Hamilton was also agent of the Pelee Island Wine and Vineyard Co. Hamilton was based in Brantford. Some writers have stated that the Hamilton Dunlap Company formed in Brantford was the first winery in Canada . The man behind the winery Major J. S Hamilton. * There was a Hamilton, Dunlop and Company a retail company. Edward and John Wardroper planted grapes in 1866 on the Island; later building a winery. The winery was located at lot 2 on the north shore road. It was completed in 1882. 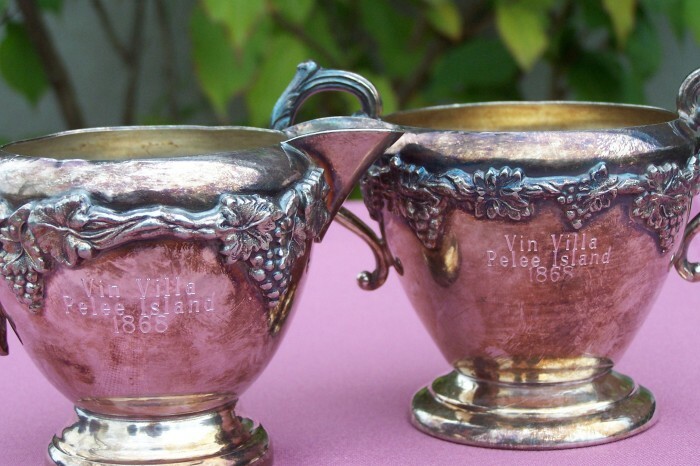 In 1878, Pelee Island wines won a bronze medal at an Exhibition in Paris. His Royal Highness, the Prince of Wales, tasted the wines and was pleased with their flavour and quality. A gold Medal was awarded at the 1978 Jamaica Exhibition. Champagne sold under the name L'Empereur . There were two styles Sec and Extra Dry. 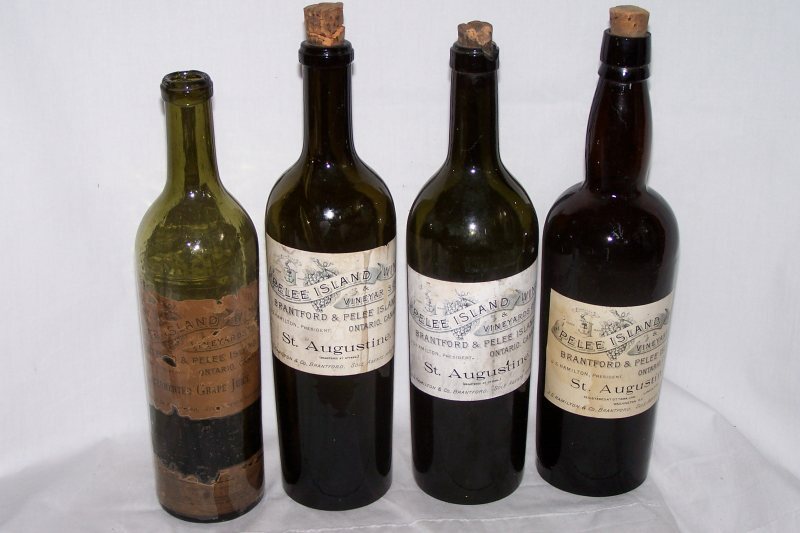 Perhaps the most successful wine produced was St. Augustine Communion Wine. In 1929, the Anglican Bishop of Montréal had proclaimed: I know of no other wine wine equal to it for sacramental purposes. Wine growers saw other areas as been more productive such as the Niagara region. 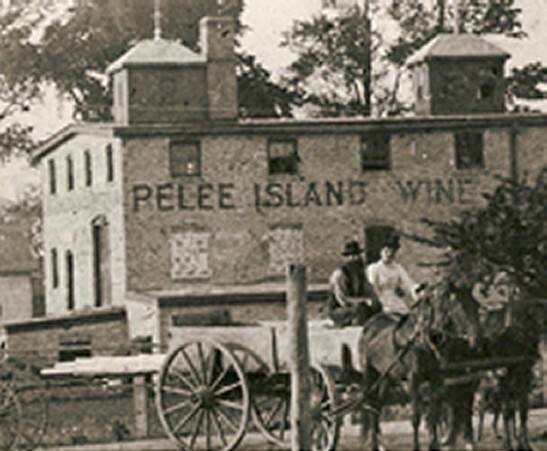 Grape growing and winemaking disappeared for over half of a century until 1979 when grapes were reintroduced to the Island and Today's Pelee Island Winery was established. 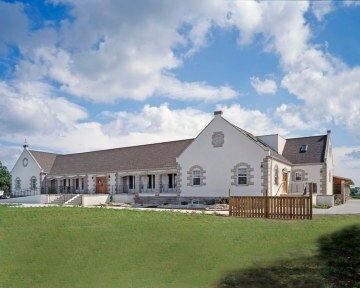 Today Pelee Island Winery is located on the mainland having moved to Kingsville in 1982 . On the island their 550 comprise the largest private estate in Canada With heat units and frost free days unmatched anywhere else in Canada, the island is a natural destination for Vinifera grape growing. Varietals grown on the island include: White: Chardonnay Gewurztraminer Riesling Sauvignon Blanc Vidal Pinot Gris Seyval Blanc Red: Merlot Pinot Noir Cabernet Sauvignon Cabernet Franc Baco Noir Shiraz Tempranillo Chambercin Gamay Zweigelt. Winesofcanada.com is always seeking information and photographes of Canadian wineries. Support us as we record our history or go fund Me.